Soft hackle dries; A "new" generation of dry flies? Soft hackle dries: A "new" generation of dry flies? Soft game hackles have been used in fly patterns for centuries but they are usually associated with wet flies and in particular what are often termed North Country spiders or soft hackle flies in the States and Canada. Traditional spider patterns like partridge and orange, hares lug and plover, Greenwell's Glory are literally hundreds of years old but still take a lot of stream trout to this day. The flies work on the magic principle of inherent movement giving that all important impression of life. In fact unknown to the famous spider pattern creators of past times (including Pritt and the great WC Stewart) these wet flies are excellent imitations of nymphs struggling to reach the surface and undergo an amazing metamorphosis that we fly fisherman refer to as a hatch. Spider patterns do an excellent job of recreating the impression of a struggling nymph, slim in profile with the soft hackles moving enticingly in the current. Partridge and orange Stewart's black spider and a Greenwell's Glory. However soft game hackles have rarely been incorporated into dry flies. 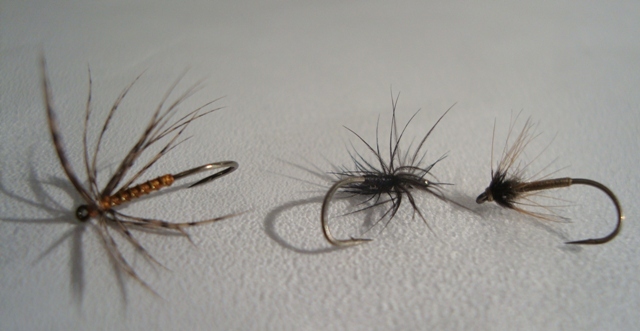 Dry flies more traditionally use stiff hackles usually from birds that are produced especially for the capes. 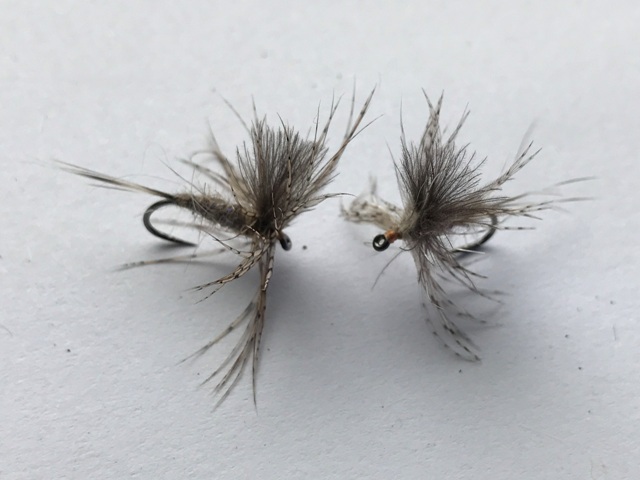 Although these stiff hackles do a great job of flotation for a dry fly and even help in dry fly presentation......the hackles "grip" the surface film and can prevent unwanted drag, it is doubtful they in any way imitate legs or behave like the legs of insects. These soft life like flies are simply candy for most rising trout. Tied with a UV body it has a touch of irresistible suggestion that few trout can refuse. The soft hackle is far more suggestive of insect legs than the stiff hackles used in traditional patterns. Moreover they posses an added feature of movement. The fly is also tied with a CDC wing. CDC is very light and in this case designed to catch any breeze- the combination of the CDC wing and soft hackle "legs" are a deadly combination. It is a consistent and fantastic dry fly and can be used as a search and find fly or during a hatch. I tie it to imitate small-medium Mayflies and Caddis flies. It has accounted for more of my 50 cm plus (20 inches) river trout than any other single fly in my box. It remains my number one dry fly at this particular moment in time. Several variations of this fly are featured in the forth coming E-book available for download at onstream-guide.com. A guide to Modern Stream Fly Fishing; Practical advice for all levels.